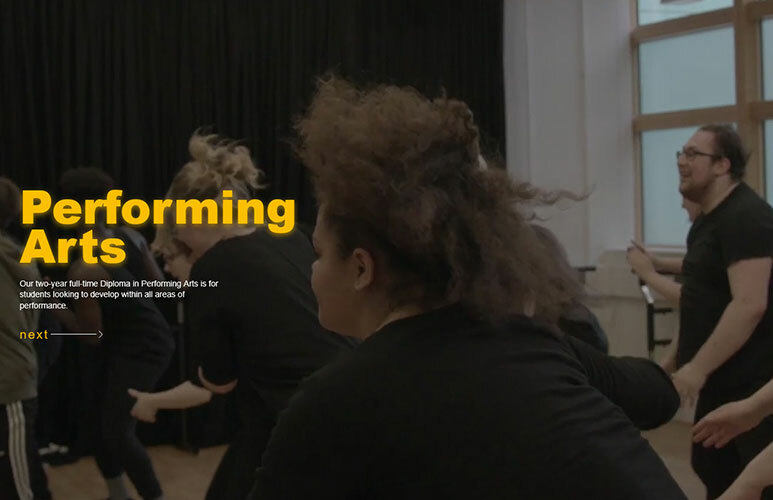 Studio website was designed for Performing Arts Academy based in New Cross London. Their new website showcase some beautiful videos and images. 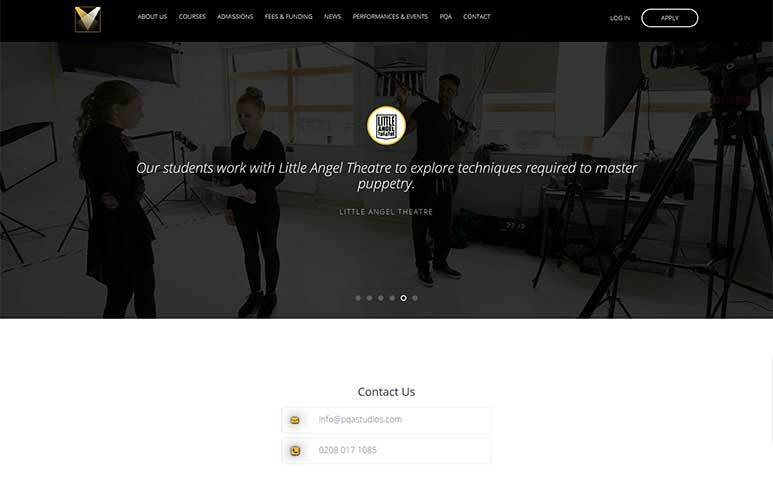 Studio website was designed for Performing Arts Academy based in New Cross London. 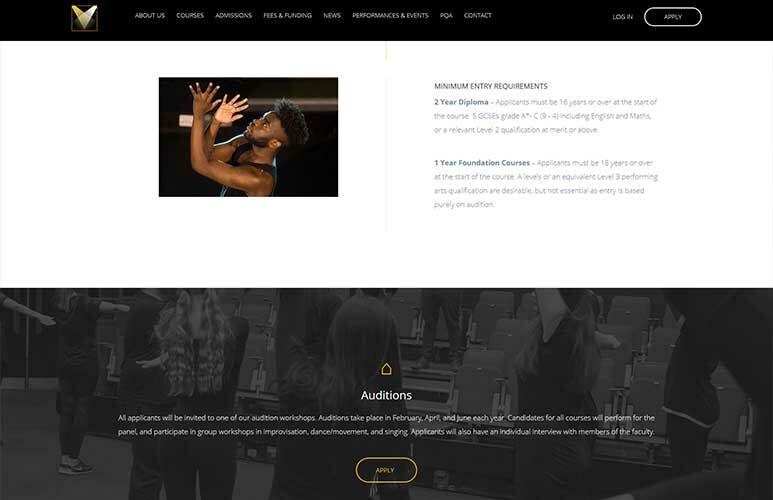 Their new website showcase some beautiful videos and images. We’ve created our project to be CMS ready and SEO optimised for keywords research. The new website contains additional SEO strategies for link building and local citations. To fulfil customer requirements, academy project was divided into two stages. First one is for front-end representation of the company. This involved videos and professional footage organized by owners on the day. The second stage was to develop an online application form and link it with payment facility. Payment must have the conditional fields for best user experience. Their new website offers much clearer service brake-down and brand consistency throughout. Visitors will have an option to contact the Academy directly or via online chat. Also, the main navigation section was improved to make all pages on the website more accessible. As I’ve mentioned before, the front end contains several animation clips. All optimised for fast loading and quality. If you think that the online video will represent your company better than images, please feel free to drop us an email.